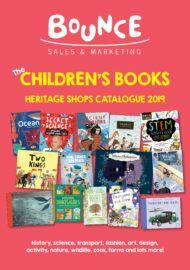 Bounce Bookshelf – Bounce Sales & Marketing Ltd.
At Bounce, we have been working to support independent children’s publishers for 15 years, and have helped to significantly grow the business of many of our clients. 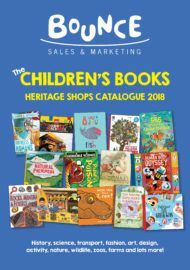 We’re also very aware that there are many more brilliant children’s books out there published by very small publishers who can struggle to achieve significant sales in the UK trade and it is often these kinds of books which can help a retailer offer a distinctive range to make them stand out from the crowd. Because of this we launched our very own Bounce Bookshelf, to be able to offer a range of specially hand-picked smaller publishers’ titles which we think deserve a wider audience.